Planning a holiday to Australia with you friends and family? 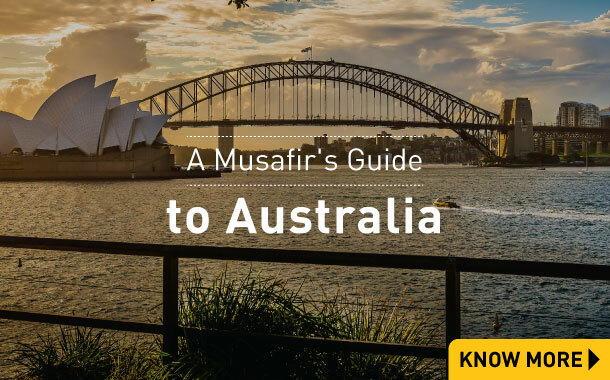 Be at ease, and get your Australia Visa with Musafir.com. 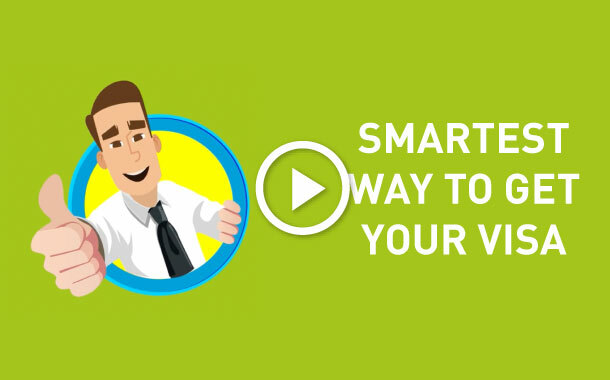 The process is extremely simple and hassle-free. All you have to do is apply for an Australia visa at just Rs 11,499, and get your visa in 20 working days. For instant Australia visa assistance, call us at 022-68311010 or fill in your details. Copy of the first, last page, observation page (if any) and all used and unused pages of current passport should be notarized and submitted along with the documents. If an old passport is being submitted, then copies of all used pages have to be submitted as well. If the applicant's place of collection of documents is in Mumbai, an additional courier fee of Rs 300 will be applicable. If place other than Mumbai, an additional courier fee of Rs 700 will be applicable on Australia tourist visa fees. Have queries related to your Australia visa? Look no further! Musafir.com provides Australia visa assistance in Mumbai, Bangalore, Chennai, Kolkata, Hyderabad, Pune, Lucknow etc. ETA = Electronic Travel Authority for Australian Tourist Visas. Am I eligible for an ETA? How long will I have to wait for my Australia visa to be granted? An Australia Visa takes about 20 working days. Keeping the processing time in mind, apply for a Australia Visa 10-12 days before your schedules travel date. The average processing times of visa applications depend on the category of visa being applied for. Should I purchase my airline ticket before travelling? It is advisable that you book flight tickets that are refundable if the bookings are made prior to the grant of a visa. Also, the Department of Immigration and Border Protection recommends that you apply for your Australia Visa well ahead of your proposed travel date and finalise your travel arrangements after the visa is issued. Stage I: Application is received by us, and forwarded to Australian High Commission. Stage II: Application is received and processed by Australian High Commission. Please note that Australian privacy legislation prevents the Australian High Commission from disclosing information about visa applications to anyone other than the applicant. This means that if anyone other than the applicant contacts the High Commission to enquire on your behalf, the High Commission will not be provide them with any information unless you have provided written authorization. You are strongly advised to take out private health/travel insurance to cover yourself in Australia as medical treatment can be very expensive. Visa bureau can recommend our specially selected partner, Columbus Direct who will be able to provide a competitive quotation for comprehensive travel insurance, with a 15% discount available exclusively to Visa Bureau clients. This beautiful continent country deserves due attention, and for you as a Musafir, we have the continent covered. Take some time out, and lead yourself here, for you may develop new interests knowing what Australia has to offer. Let nothing be hidden from your knowledge bank, for regretting later for not having experienced things while you had the chance, is heart breaking. Australia, a continent that’s the most dynamic and holistic by the means of a traveller’s checklist. Australia will leave you astonished with its diversity. This continent country is blessed with a diverse geography. It has everything from snow capped mountains to islands to large deserts to tropical and temperate forests. The geography reflects a perfect blend of heterogeneous ecosystems and tectonic qualities ranging from the archaic suburbs of cosmopolitan Melbourne, Perth and the virtually unexplored Outback, to the volcanic group of barren Antarctic islands: the Heard island and the McDonald islands that fall under the Australian territory to the north of Antarctica. An Australia visa is the only gateway to quench your wanderlust, given the diversity this place is blessed with. The best time to visit Australia is either spring i.e from September to November or autumn i.e from March to May. These are the times when it is not too cold or not too hot. 1 Australian Dollar equals 48.71 Indian Rupee. In the world of foods, Australia will find an envious place for the culinary identity that it carries. As the saying goes, variety is the spice of life, Australia has the variety, and it has the spice. 3. Streetilicious: Top 5 Street Treats of Australia!